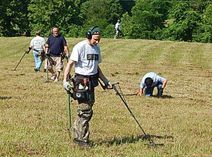 Welcome to the Ohio Detectorists Association online museum (one of the largest collection of metal detecting artifacts displayed in Ohio) via this interactive website. Discover the history of Southwest Ohio by viewing items that were carefully recovered by Ohio Detectorist Association members. Most items recovered range from the 1700's to the early 1900's. To begin your online museum tour click on the button saying "Click to View" under the county your interested in. The ODA Artifact Museum collection database is a work in progress. New records, updates and images are added every week. The information is made available in its entirety. Only values, personal addresses and the names of some individual ODA members and or staff have been withheld. The database is an inventory of local finds made by Ohio Detectorists Association members and aims to record what is known about it. It is primarily designed to support curatorial and research work. The database is the result of years of research and recovery work but is still in its early stages. We are continuing every day to improve the information recorded in it and changes are being fed through on a regular basis. In many cases it does not yet represent the best available knowledge about the objects. This is being added as fast as possible, but will take many years. Information held on it, therefore, needs to be read with care. There may be mistakes and omissions and in some cases ODA Museum staff may not have checked an entry. In many cases they will have more information that they will add in the future. The ODA Artifact Museum thanks the Ohio Detectorists Association members for their help towards constructing this database. The ODA Artifact Museum depends on further support to develop and improve the collection database. Would you like us to search? In SouthWest Ohio? Would you like for us to search your property? Fill out the contact form below! We would love to save a little more history. 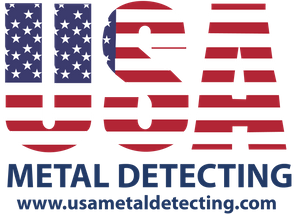 If you have a project where serious metal detecting experts might be useful, we are self-equipped and always interested in hearing about projects you're doing - please contact us using the contact form below. Lost an Object and Need Help? We may be able to help... Click on our Lost Item Assistance page for more info. 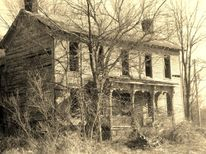 Want to find cool history!